Kilcommon, Belmullet, Kiltane and Ballycroy. 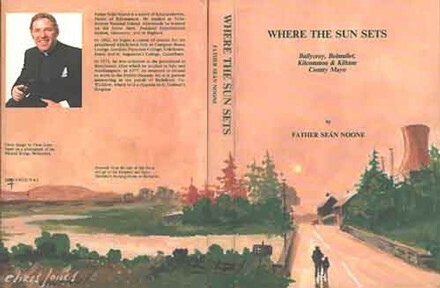 The author, a native of Knocknalower in the parish of Kilcommon, spent ten years researching this book which is a veritable odyssey beginning 5,000 years ago with the era of Ceide Fields and moving swiftly down pre-history to the Columban monks who settled in Erris in the seventh century, the Composition of Connacht and the fate of the Spanish Armada in the sixteenth, the arrival of Oliver Cromwell in Ireland and the Shaens in Erris in the seventeenth, the landing of the French in Killala in the eighteenth, the famine and evictions of the nineteenth, and the Congested Districts Board which at the turn of this century found that, of the 2,297 houses in Erris, only 512 had more than one room. 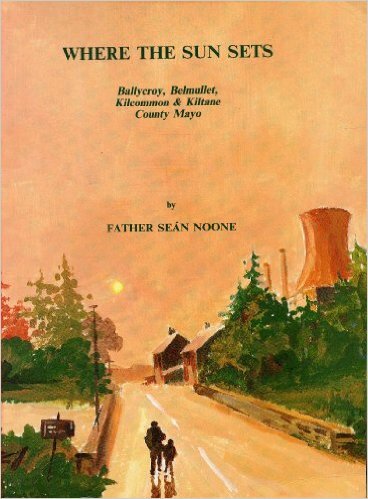 Father Seán Noone is a native of Knocknalower, Parish of Kilcommon. He studied at Pullathomas National School. Afterwards he worked on his home farm, in Peatland Experimental Station, Glenamoy, and in England. In 1962, he began a course of studies for the priestood which took him to Campion House College, London; Franciscan College, Colchester, Essex; and St. Augustine’s College, Canterbury. In 1971, he was ordained in the priesthood in Manchester, after which he worked in Italy and Northampton. In 1977, he returned to Ireland to work in the Dublin Diocese.